The M561 Gama Goat was seven years in development until production of the vehicle began in 1968. 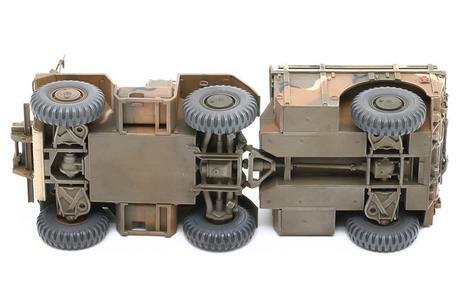 Its unique name was derived from the creator of its articulated joint, Roger Gamaunt, and its mountain goat-like climbing ability. 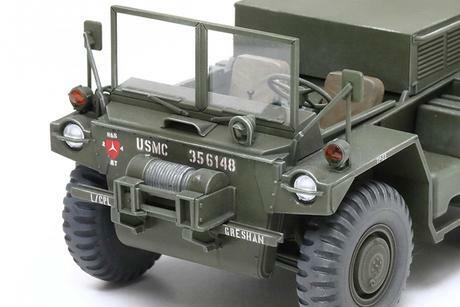 It was unlike most other military off-road vehicles in that power could go to all 6 wheels of the vehicle, and its aforementioned articulated joint allowed 80˚ pitch and 60˚ roll ranges of the carrier module at the rear. 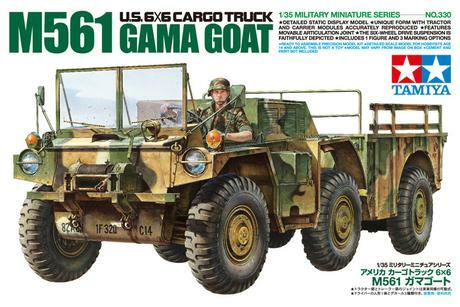 Its excellent rough-terrain mobility was tempered somewhat by problems with tricky handling and maintenance, as well as it being rather noisy, but the Gama Goat continued in service until it was effectively replaced by the HMMWV in the late 1980s. 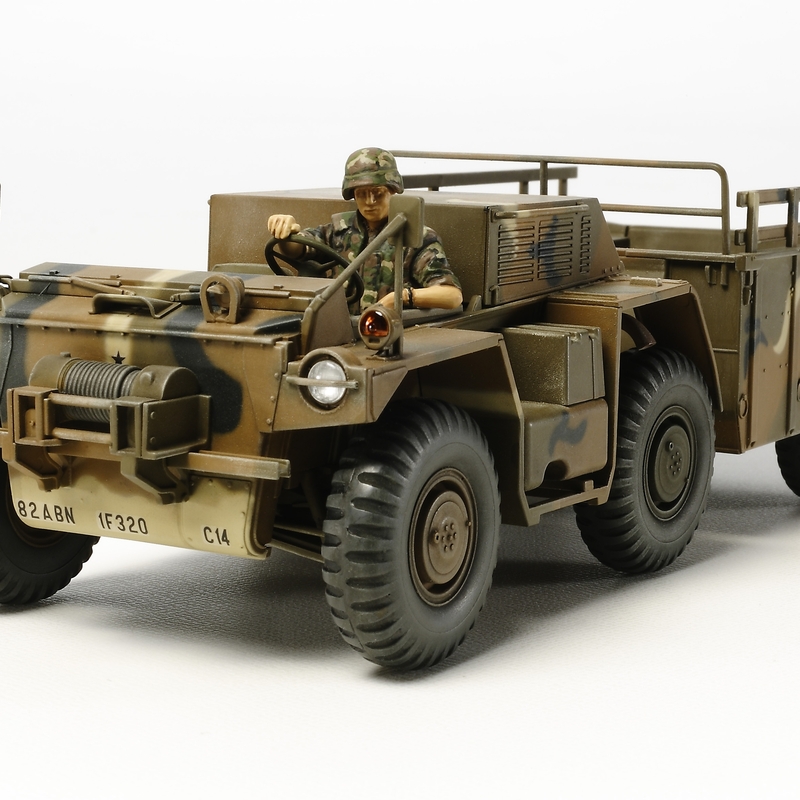 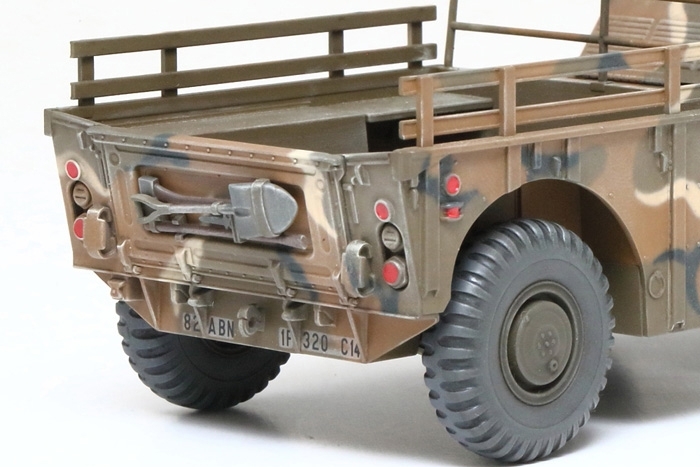 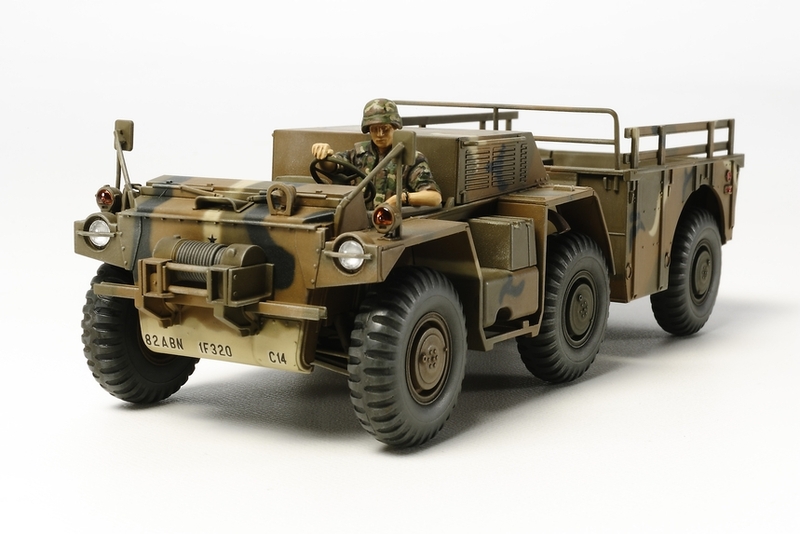 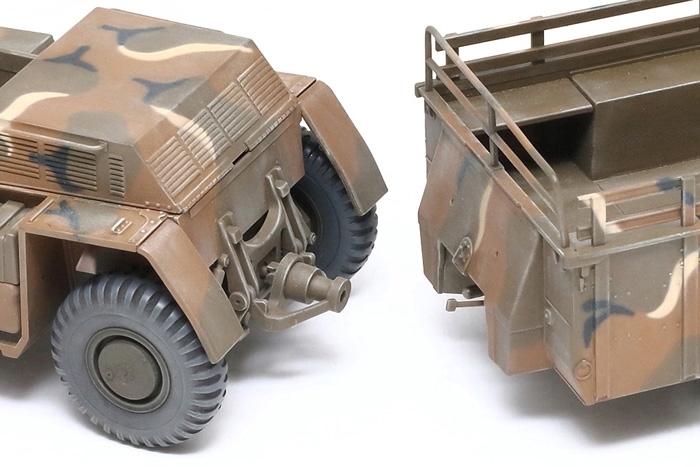 Tamiya's 1/35 scale model faithfully reproduces this vehicle in every detail possible. 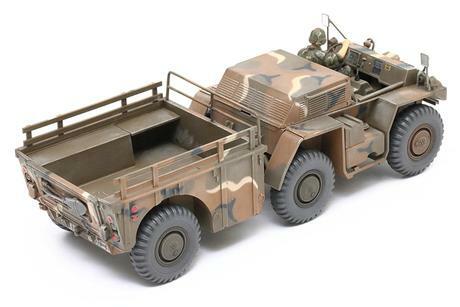 Extensive research of the full size vehicle was conducted to give modelers the best kit possible. Special Feature 1 Length: 170mm, Width: 62mm. 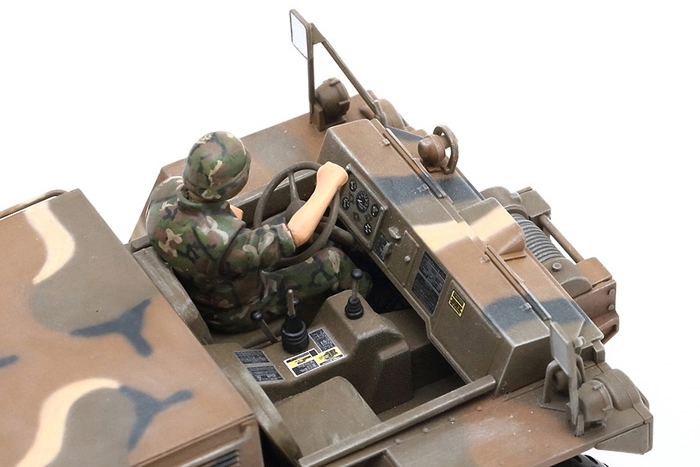 Special Feature 3 the joint on the model uses a poly-cap to accurately mimic the movemet range of the real vehicle. Special Feature 4 The model features optional front windshield and front-mounted winch parts. 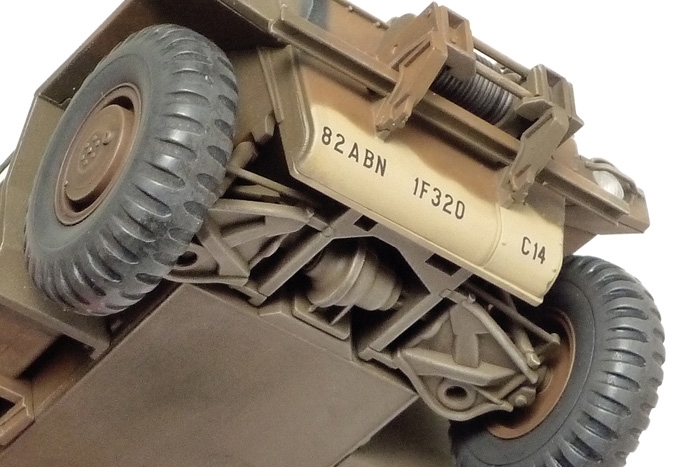 Special Feature 5 The complex 6-wheel drive suspension is recreated in a single molded part. 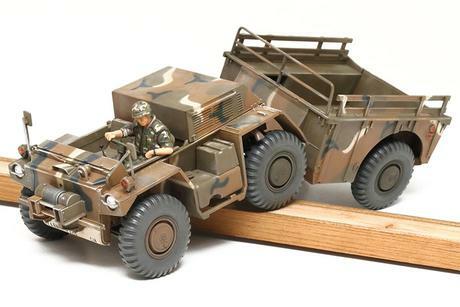 Special Feature 6 1 driver figure is included. Special Feature 7 Comes with 3 marking options.